Phong Duong was working long hours at the nail salon he owned and looking for other business opportunities when he attended a vended laundry symposium. It wasn’t long before he acquired the store now called National Laundry and Dry Cleaning. 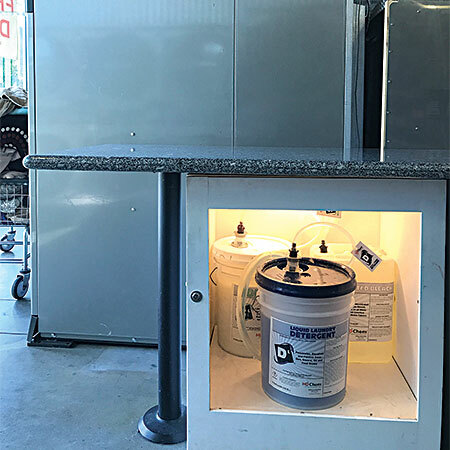 Six hard-mount, 75-pound-capacity Continental PowerLoad Washers are the store’s most popular machines: “Customers line up to use them,” says Duong. 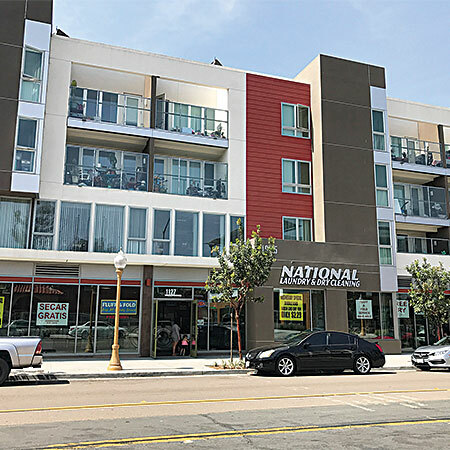 SAN DIEGO — Intrigued by vended laundries for their management flexibility, Phong Duong recently purchased National Laundry and Dry Cleaning, a 2-year-old vended laundry located here. Hoping to learn more about the vended laundry industry, Duong attended a vended laundry symposium hosted by Elite Business Investments and Continental Girbau West. He took in presentations on vended laundry development, ownership and equipment and came away favoring Continental ExpressWash® Washers over other brands. ExpressWash Washers, according to CG West Vice President Tod Sorensen, deliver a simple-to-install freestanding design, a highly programmable ProfitPlus® Control, and extract speeds up to 400 G-force. By generating higher extract speeds than most hard-mount washers, which typically max out at 200 G-force, ExpressWash Washers remove more moisture from every load. This cuts dry time, reduces utility costs and improves customer turnover, according to Sorensen. “Dryers operate less often, consuming less natural gas, and customers complete their laundry sooner,” he says. After Duong researched the industry and related equipment, he phoned Elite’s Carol Dang. She works closely with vended laundry investors and owners to sell and purchase existing laundries, as well as renovate them. Dang’s team at Elite also specializes in new vended laundry development. Dang searched on Duong’s behalf for potential laundry locations for new store development, as well as existing laundries for sale. She contacted multi-laundry owner Brian Voytovich to investigate a laundry of his that was for sale. “Brian gave me a brief rundown of the location, income and expenses, and I called Phong,” says Dang. Duong responded by purchasing the store. The 4,300-square-foot National Laundry and Dry Cleaning is equipped with a mix of card-operated ExpressWash Washers and complementing ExpressDry Dryers; offers residential and commercial wash/dry/fold service, including pickup and delivery; provides drop-off dry cleaning; is fully attended; and features a children’s play area, video games, free Wi-Fi, vending machines and big-screen TVs. Dang recalls that just four months into ownership, Duong called her again for assistance. Duong alleviated the backup at the 75-pounders by replacing four 20-pound machines with the two 90s. 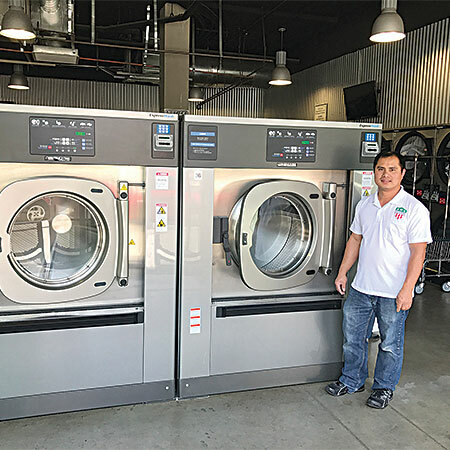 The new ExpressWash 90s bring customers a high-quality wash in 32-40 minutes; make National Laundry and Dry Cleaning unique; and boost revenue in the process, according to Duong. The large 90s also help with processing commercial and residential wash/dry/fold, according to Duong. 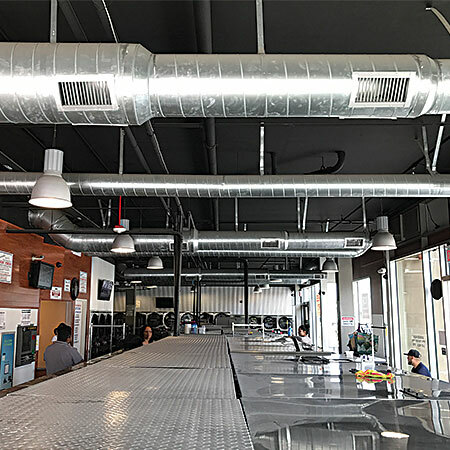 Looking to grow this segment of his business, National Laundry and Dry Cleaning provides pickup and delivery, along with a turnaround time of 24 hours for commercial laundry orders. “We are located really close to a Naval base and the sailors bring me a lot of blankets, jackets and bed sheets,” he says. Attendants carefully sort, wash and package laundry according to customer specifications. A Card Concepts Inc. (CCI) electronic card payment system simplifies laundry management for Duong. It allows him to remotely issue cards and refunds, launch in-store promotions, monitor machines and check revenue, among many other capabilities. Offering a free daily dry for every wash swipe and Wednesday deals on the 20-pound washers, he builds customer loyalty and revenue.